Shakya Chokden (Tib. ཤཱཀྱ་མཆོག་ལྡན་, Wyl. 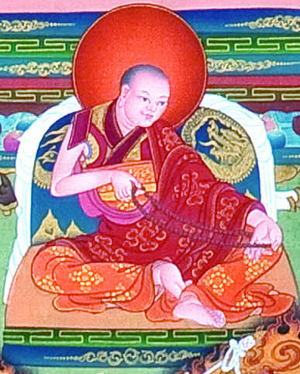 shAkya mchog ldan) (1428-1507) - Born in the Earth Monkey year of the seventh calendrical cycle, he studied with Rongtön Sheja Kunrig and Ngorchen Kunga Zangpo. After experiences from a longer Hevajra retreat he wrote commentaries on scriptures that set forth a entitylessness position (niḥsvabhāvavāda). Many consider this synonymous to the Madhyamika system. Komarovski, Yaroslav. Echoes of empty luminosity: Reevaluation and unique interpretation of Yogacara and Nihsvabhavavada Madhyamaka by the fifteenth century Tibetan thinker Sakya mchog ldan, Ph.D. dissertation, University of Virginia (2007). This page was last edited on 30 October 2018, at 21:06.